Nerves are very sensitive to compression. If they are compressed at any point along their length, it can cause symptoms at their end. Often simply removing this pressure resolves this issue. The degree of recovery depends on multiple factors especially the duration of the symptoms. Symptoms include strange sensations, such as numbness, tingling, pins and needles or a ‘dead feeling’. This often presents as numbness and tingling in the thumb, index, middle and half of the ring finger. It usually starts off just at night and wakes people up or during specific activities. This can progress to constant numbness, wasting of the muscles and weakness if not left. This is treated first with nocturnal splinting, if this fails it can be easily treated by dividing the ‘transverse retinacular ligament’ across the wrist. This is much less common than carpal tunnel. The symptoms are numbness and tingling in the little and half of the ring finger. It can affect the palm also depending on where it is compressed. 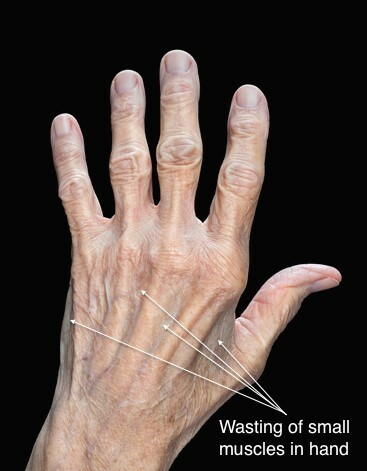 It affects the small muscles in the hand responsible for crossing the fingers and spreading them apart. In the chronic condition the muscles can atrophy (waste away), leaving the tendons more obvious and the hand looking ‘skinny’. The most common site of compression is at the elbow, however less commonly it can be from compression in Guyon’s canal in the wrist. If non-surgical management fails surgical release is very successful. 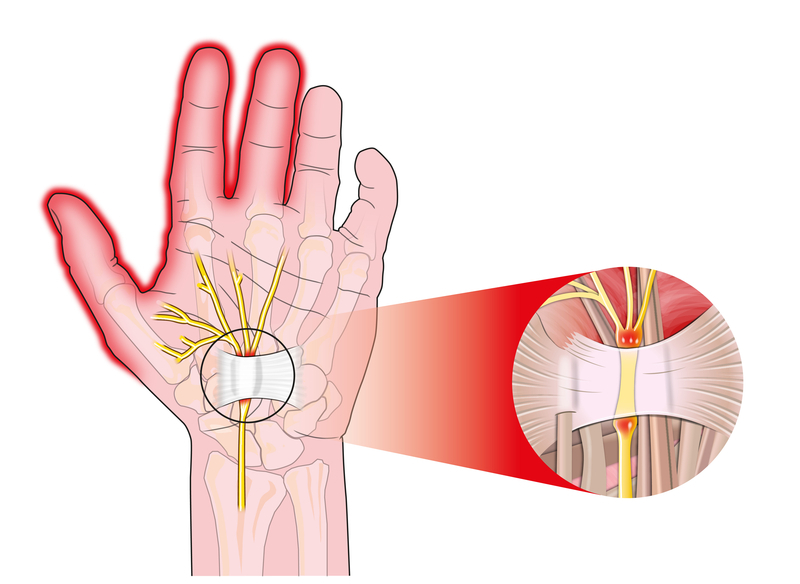 The radial nerve does not supply any muscles in the hand and only supplies sensation. Compression can occur at the wrist causing tingling on the back of the hand between the thumb and index finger, or cause a dull ache in the back of the middle of the wrist from compression around the elbow. Therapy can often resolve this issues and surgery is not commonly required.